Former South African president Nelson Mandela has died aged 95, the country's president Jacob Zuma said tonight. Mr Zuma said: "The nation has lost its greatest son", adding "he is now resting. He is now at peace." 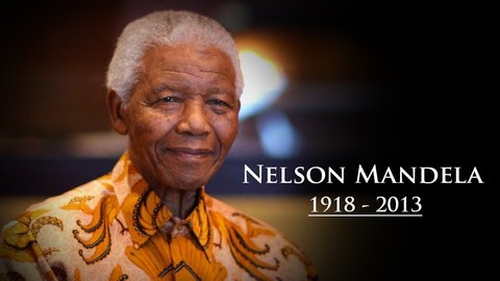 "Our beloved Nelson Rolihlahla Mandela, the founding President of our democratic nation has departed. "He passed on peacefully in the company of his family around 20:50 on the 5th of December 2013. "He is now resting. He is now at peace. "Our nation has lost its greatest son. Our people have lost a father. "Although we knew that this day would come, nothing can diminish our sense of a profound and enduring loss." Mr Mandela will receive a full state funeral, Mr Zuma said, ordering flags to be flown at half mast. Mr Mandela rose from rural obscurity to challenge the might of white minority apartheid government - a struggle that gave the 20th century one of its most respected and loved figures. Mr Mandela was elected president in landmark all-race elections in 1994 and retired in 1999. As president, Mr Mandela faced the monumental task of forging anew nation from the deep racial injustices left over from the apartheid era, making reconciliation the theme of his time in office.